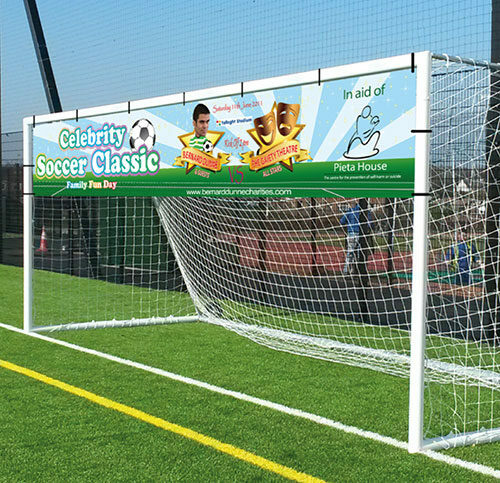 If you are looking for a durable outdoor product suitable for advertising then our PVC Banners are the most popular by far. The large surface area gives ample coverage to display your message effectively offering vibrant colours with our high quality large format printing machines. Need to have your Banner designed, then why not let us look after that for you with our inhouse professional design team at hand to cater to your requirements. Simply tell us your requirements along with a quick brief, then relax and await your proof. PVC Banners can be displayed both indoors and outdoors. Ideal for any upcoming event, festival, markets, music gigs, birthdays and much more. Affordable priced our banners come in a range of sizes and have eyelets as standard unless otherwise stated. 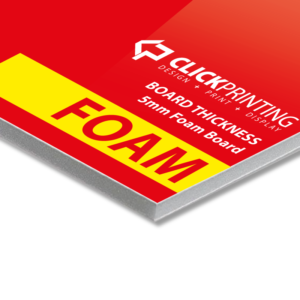 The material used by ClickPrinting.ie allows for high quality graphics to be display, enphasising your slogan or message to the masses. Top-quality heavy 450gsm RipStop vinyl pvc banner material. Competitive priced Vinyl PVC outdoor banners are offered with our instant online ordering system. 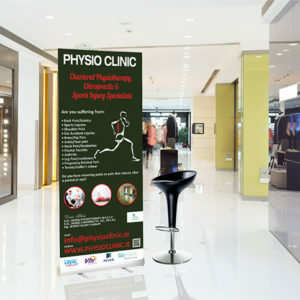 Order your PVC Banner today with Click Printing – Ireland’s best competitively priced online design and print store. Our design services are provided to you by professional graphic designers and not printers. Our Graphic design team will take your concept from initial brief straight through development and on to proofing. Once you are happy with you design, the graphic designer then sets up the artwork for print, which is then passed on to our print production team coordinator. 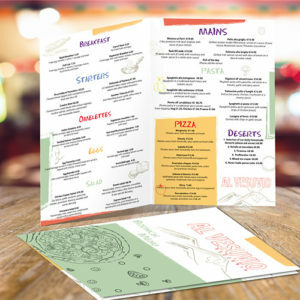 They ensure that your design is completed and printed to the highest quality. Please be aware that PVC Banners are used as a short term advertising tool and only have a display life period of about 6 months, whether indoors or outdoors. Standard delivery time for our PVC Banner is 5 working days from approval of proof.